My husband is a sommelier, and with the Italian Sommelier Association we went, this Saturday, to visit Franciacorta, Bellavista wine cellars, and to lunch chez the most universally acclaimed Italian chef, Gualtiero Marchesi. 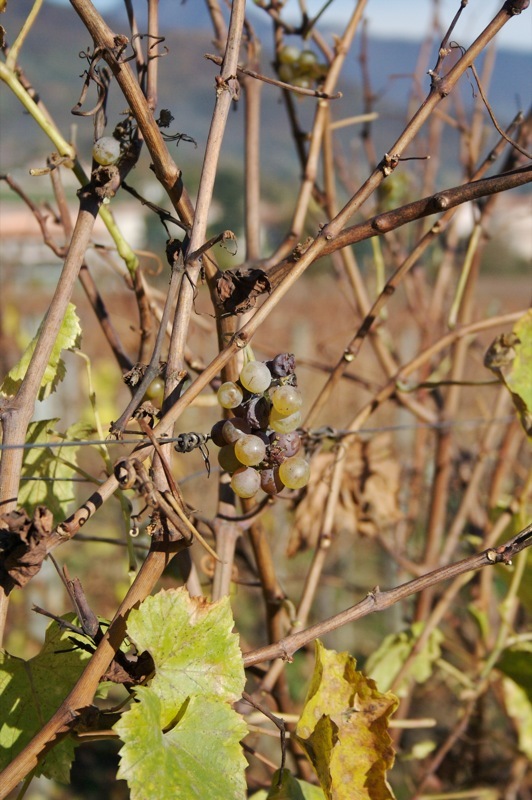 It wasn’t our first visit to Franciacorta, neither our first tasting of Bellavista. The cellars are huge and very interesting. The tasting a bit less, as we tasted just one wine (the Francicorta brut, a basic product) and everybody would have loved to taste at least three different wines. If not, what’s the use of a wine cellar visit with sommelier??? I cannot say we didn’t eat well, because everything was very good and really well cooked (well, not really everything). And being there in a big number (50) we hadn’t à la carte menu, but a fixed menu, so I won’t judge everything from that. Leaving alone the whole menu, as first course we had the glorious, famous, worldly acclaimed Saffron risotto with golden sheet. The bread, actually, was amazing!!! Best bread I had in a restaurant!!! Next time you go to Erbusto be sure not to miss a visit to the restaurant “La Mongolfiera dei Sodi” and try its wonderful FiorentOna. P.S. ask for Luigi and say bye to him from “bravabravamariarosa”! I hate disappointing meals, especially ones that promised to be good (and then cost a fair amount of money!). my grandpa has a private wine cellar where he keeps a lot of those vintage wines-~.